Call for Papers- "Role of Law Clinics in Administration of Criminal Justice"
The Network of University Legal Aid Institutions calls for articles for publication in the book titled ‘Role of Law Clinics in Administration of Criminal Justice’. 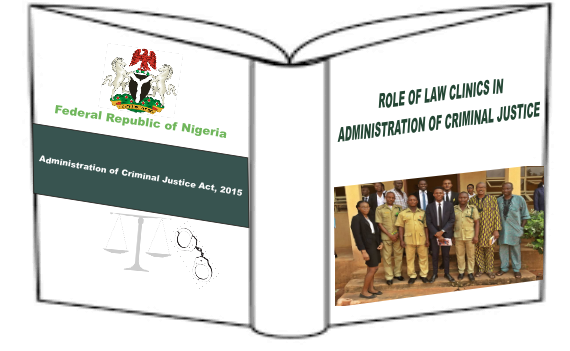 The publication shall be a cumulative report of law clinics’ work in providing access to justice to awaiting trial detainees in Nigeria. Submissions are open to Nigerian Law Clinics, clinicians and stakeholders that have interacted with pre-trial detainee law clinics. Each chapter can take submissions from a maximum of 4 authors; each author shall not exceed 10,000 words. References to web page where the work or material is sourced should be provided including the names of Authors, and the title of Articles indicating the date of most recent access.